Samuel H. Preston is Frederick J. Warren Professor of Demography and Dean of the School of Arts and Sciences at the University of Pennsylvania. He has written monographs on mortality patterns, world urbanization, the history of child health, and other subjects. He is a member of the National Academy of Sciences and the American Philosophical Society. Patrick Heuveline is Assistant Professor of Sociology and Research Associate of the Population Research Center at the University of Chicago. His recent work applies demographic analysis to such diverse topics as the Cambodian genocide and the HIV/AIDS pandemic. 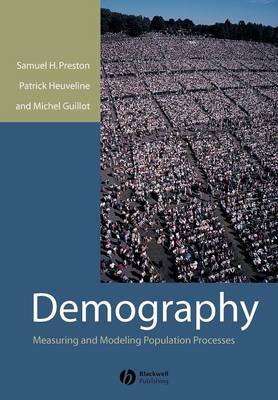 Michel Guillot is a Post-Doctoral Fellow at the Harvard Center for Population and Development Studies, where his research focuses on formal demography and mortality in developing countries. He has a Ph.D. in Demography and Sociology from the University of Pennsylvania.